You know those inspirational posters with a beautiful natural setting and some quotation underneath? "Nothing in the world takes the place of persistence... Persistence and determination alone are omnipotent." That poster is one of my most treasured possessions. US Olympians Ryan Hall and Brian Sell. 2008 Olympic Silver Medalist and 2 time World Champion Jaouad Gharib of Morocco. 1/2 Marathon Silver Medalist Patrick Makau of Kenya. 3rd fastest marathoner in history James Kwabai of Kenya. All the men listed above will be running in the New York City Marathon - with me! That's the coolest thing about marathons. It's the only sport I know of where amatuer athletes like me can compete on the same street, on the same day, with the best of the best runners in the world. 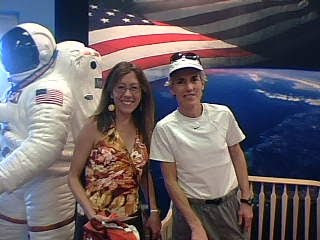 But the professional athlete I am most excited about running with is Joan Benoit Samuelson. She is running NYC to commemorate the 25th anniversary of her Oympic Gold medael in the first women's Olympic marathon. I ran my first long distance race, the 2007 Space Coast Half Marathon, with her, and got a chance to speak with her the day before. She is a huge inspiration to me for what women could do if they are determined enough.